You are invited to join the young adult community for a cookout Thursday evening, June 23 from 7-9pm in the St. John Courtyard. 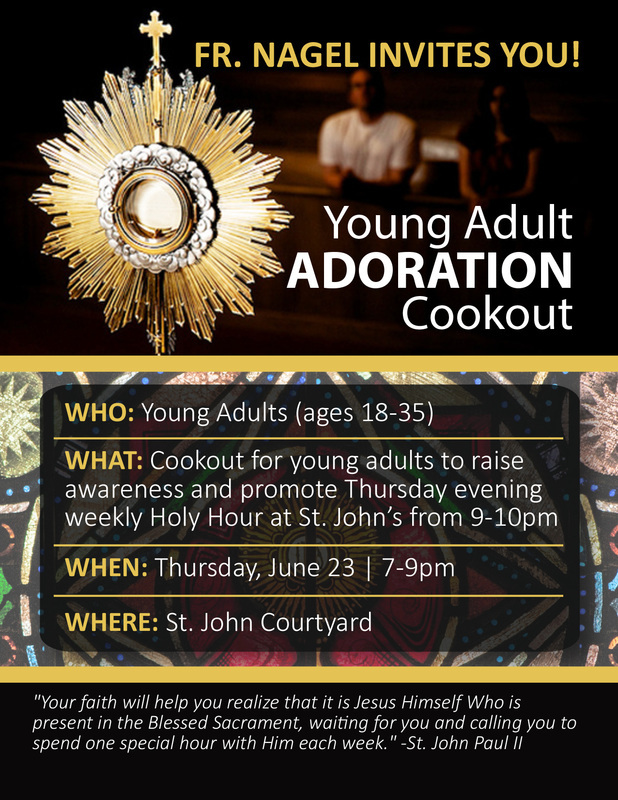 At the cookout we'll be raising awareness for our Thursday evening Holy Hour from 9-10pm. All young adults are welcome!